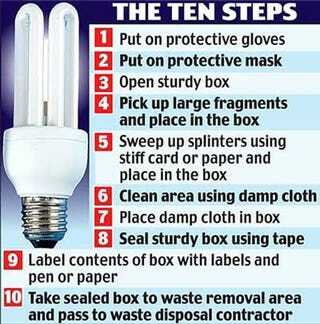 A detailed 10 step guide to dealing with broken light bulbs has been drawn up by the UK House of Commons Commission—an organization responsible for the day-to-day operations of the Parliamentary estate. Naturally, this had many taxpayers in an uproar. In fact, a spokesman for the Taxpayers' Alliance referred to the list as "ridiculous." He went on to gripe about how public officials are being paid to write "guidelines on how to use a dustpan and brush."